Vittoria owner Celestino Vercelli racing in the 70's. 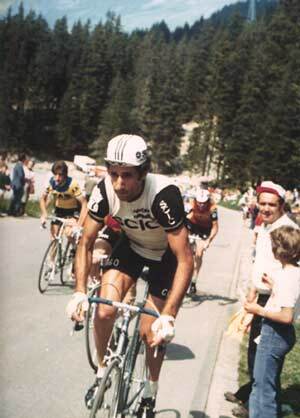 Note the classic KAS and TI-Raleigh jerseys on the riders behind him. 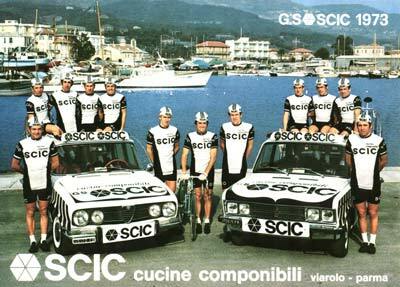 1973 SCIC team photo. This was one of the most powerful squads of the era. 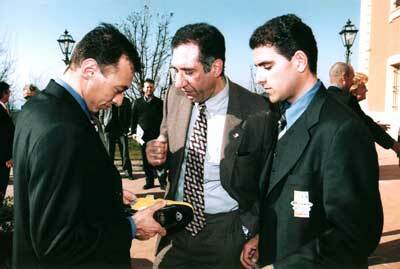 Vittoria owner Vercelli is third from the left, the second man sticking out of the roof of the car. What a picture! 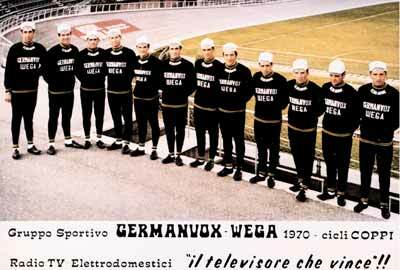 The Germanvox-Wega 1970 team photo. By the way, I believe the Coppis they rode were made by Fiorelli. Since then the name has changed hands. 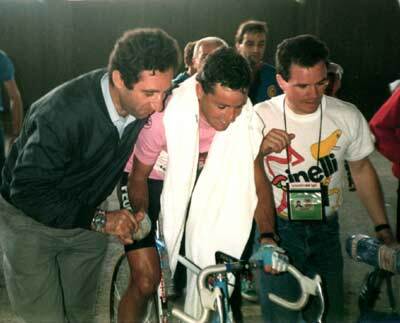 Celestino Vercelli with Stephen Roche during the Giro. Roche is on his way to doing the incredible Giro-Tour-Worlds win. By the way, he chose to wear Vittoria shoes on his way to doing what only one other man had done in the history of cycling. There they are. 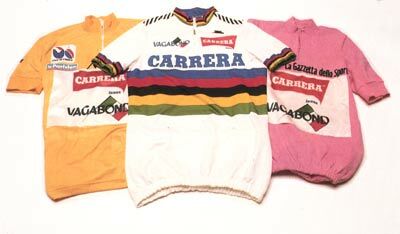 Stephen Roche gave Celestino a Giro Pink jersey, a Tour Yellow Jersey and a Rainbow jersey signifying the world championship. What a year for both Roche and Vittoria Shoes. 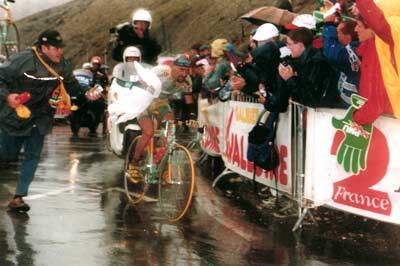 A determined Marco Pantani on his way to his magnificent Tour win. Note the cool yellow shoes. 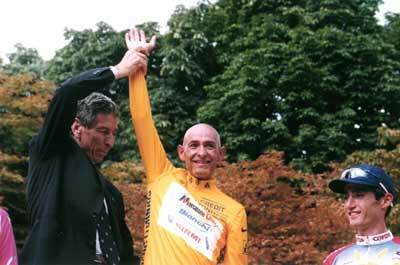 Gimondi, the last Italian Tour winner, stands on the podium with Marco Pantani. Bobby Julich is to the right, and I assume that is Jan Ulrich's shoulder that is barely visible. 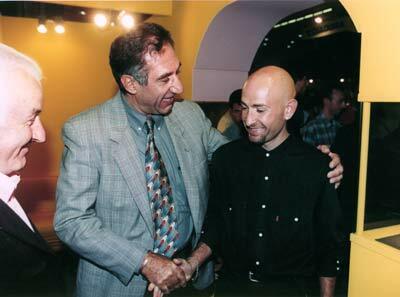 Celestino Vercelli and Marco Pantani at the 1998 Milan Bicycle Show. Vittoria owner Celestino Vercelli discusses the "Raider" shoe with Mercatone-Uno riders.